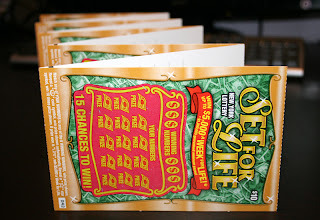 Lets start "Set for Life Lottery $100 In a Row Experiment"
I'm investing $100 into 10 Set for Life Lottery Tickets each value of $10. They will be bought from the same instant ticket stack and attached to each other. 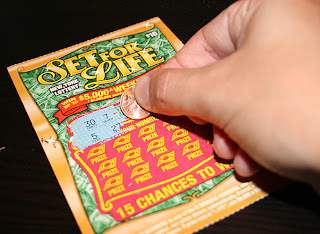 I’ll scratch one lotto ticket each day and see what my Return on Investment will be. At the end of the experiment I will tally the result and draw a conclusion whatever it might be. Today I went to the bank and took out $100 from my checking account. 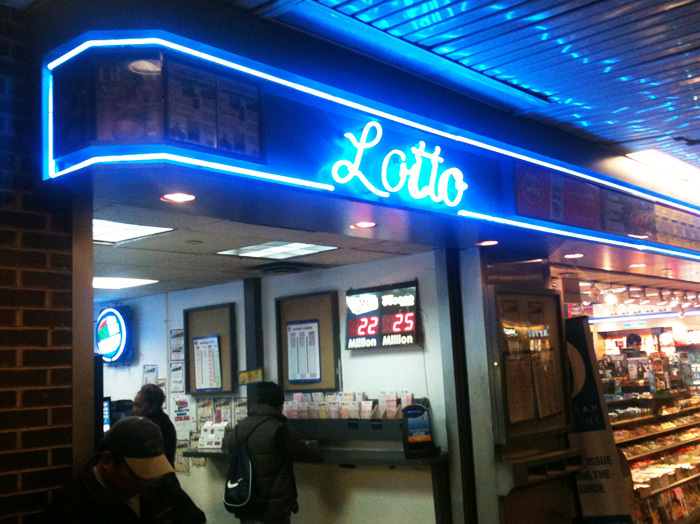 After work I stopped by a Lotto place. 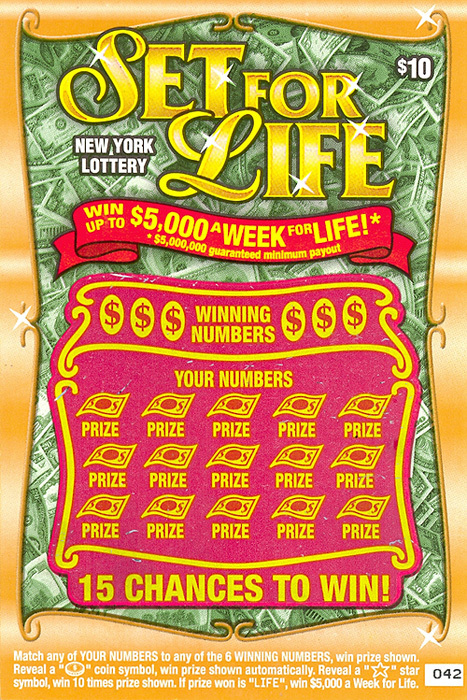 I never knew that there special lottery shops out there, I always thought that lottery tickets are sold in New Stands and creepy bodegas. Like I said before I'm not a gambler :). Interestingly enough I pass by this place fully dedicated to lotto every day and never notice it and I take this bus for 4 years. 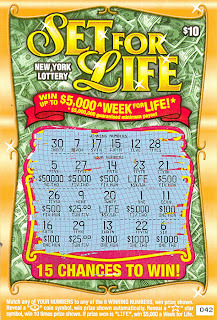 I said to the lady "10 Set for Life tickets please". She looked at me and said "One?". 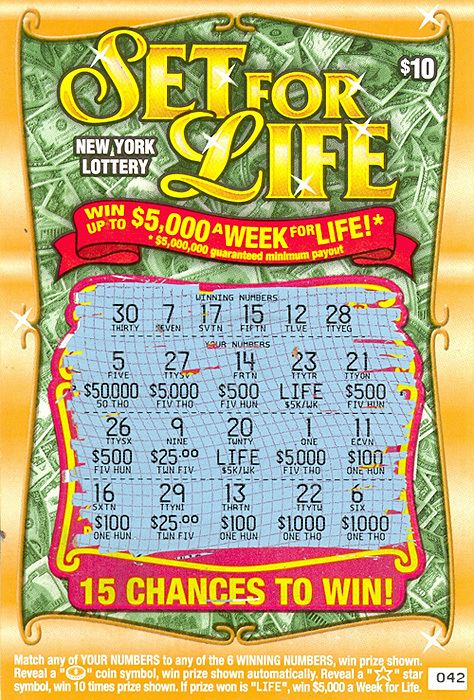 Well, I understand that people probably don't buy $100 worth of lottery tickets, so I calmly said "10 please". She of course had to verify. "Excuse me? You know they are $10 each". Wow, what a concerned lady :). "Yes, I do" I said and finally got my 10 Set for Life tickets. Now we can conduct our In a row $100 lottery experiment. 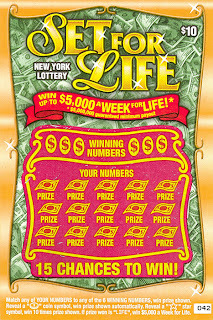 Here comes scratch lottery ticket #1. Oh, well. First ticket wins $0. Let's see what tomorrow will bring when I try to scratch Set for Life ticket #2.